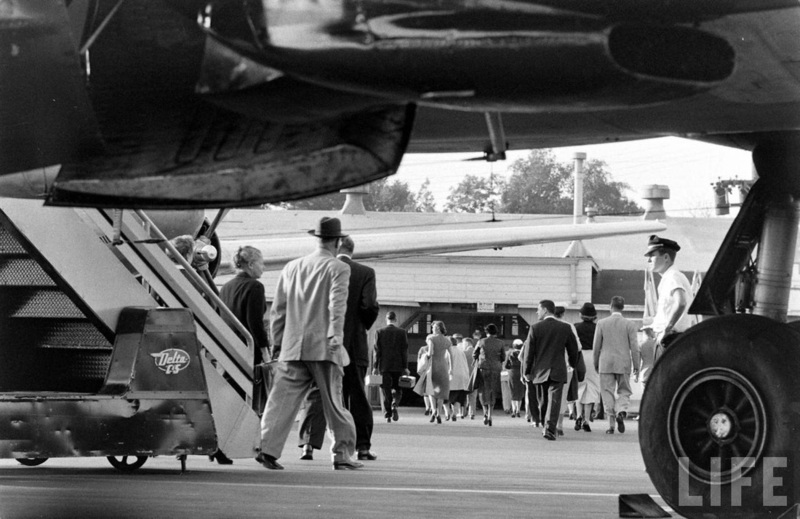 These images are from the LIFE photo archives and show typical "day in the life" scenes from Atlanta Municipal Airport taken by Robert W. Kelley in June 1956. 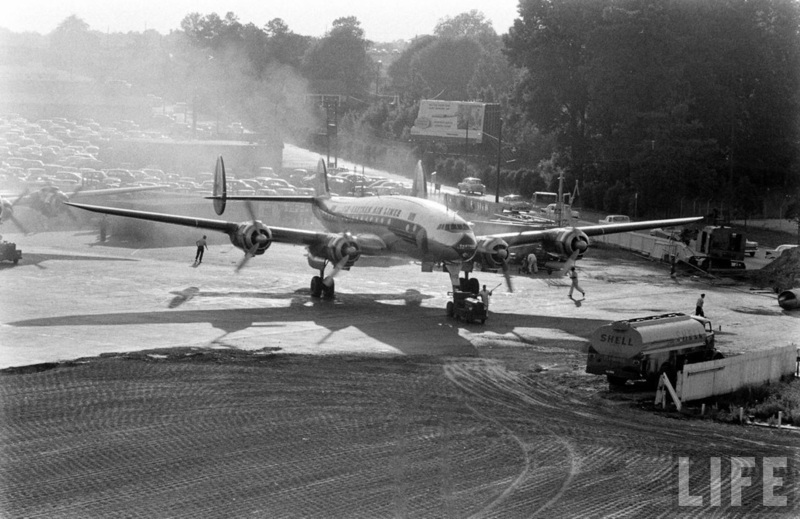 Since 1948, Atlanta had been using a "temporary" terminal constructed from an old war-surplus quonset hut and continued to do so until 1961 when a modern "jet age" facility opened. 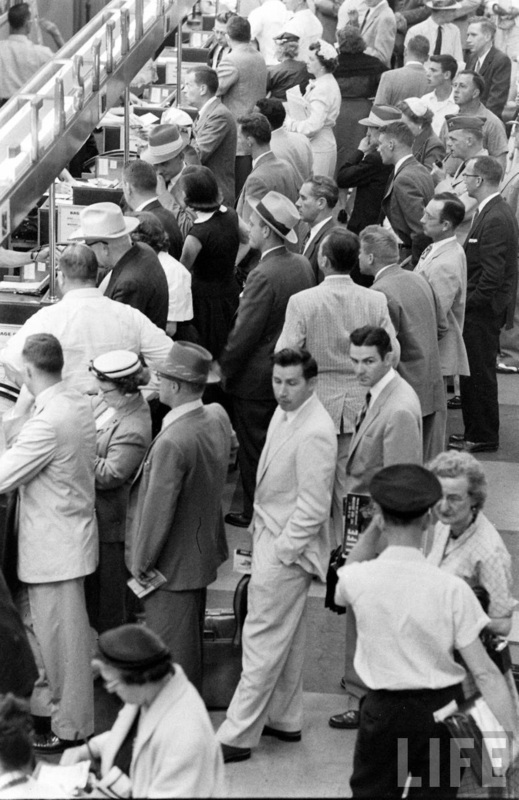 These photos capture the heyday of the last great piston airliners, three years before the introduction of jets would make them obsolete. We begin with a fantastic view (above) of the crowded ramp with a trio of Eastern Air Lines Martin 404s in the foreground. 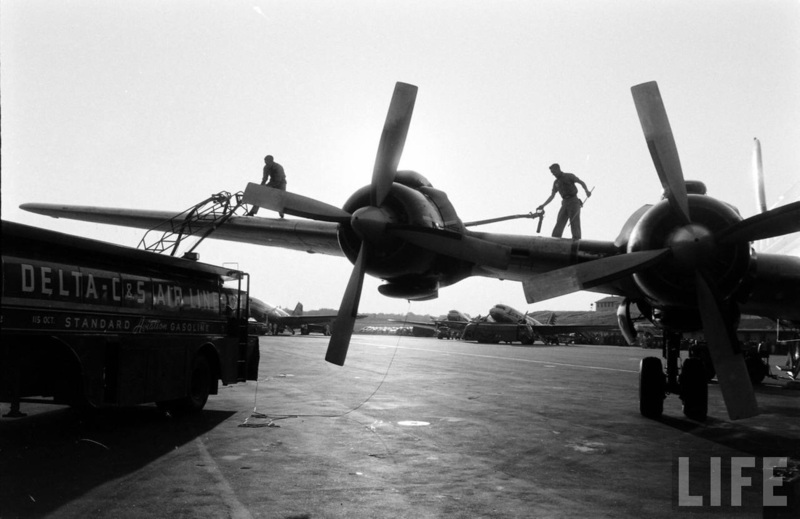 Below: An Eastern Air Lines Lockheed Constellation starts its engines with a characteristic cloud of smoke. This view faces west towards College Park. Interstate 85 is now in the area of the tree line in the background of this photo. 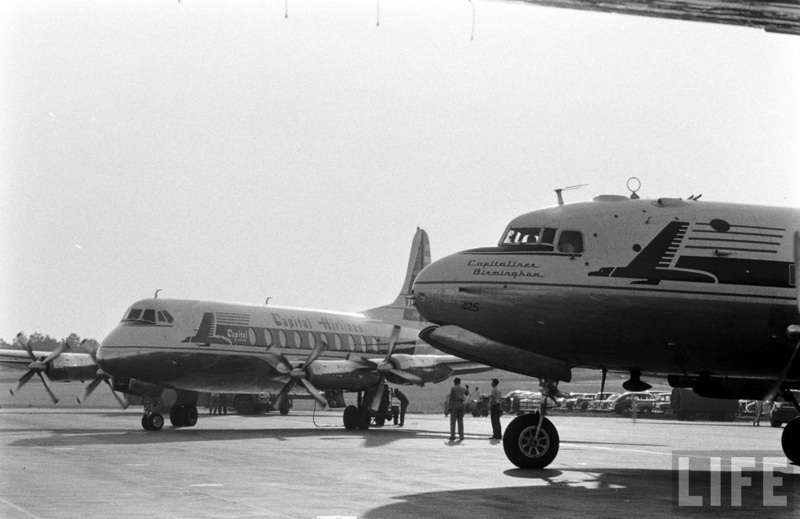 A Capital Airlines turboprop Vickers Viscount and Douglas DC-4 prepare to depart. Capital was merged into United Airlines in 1961. 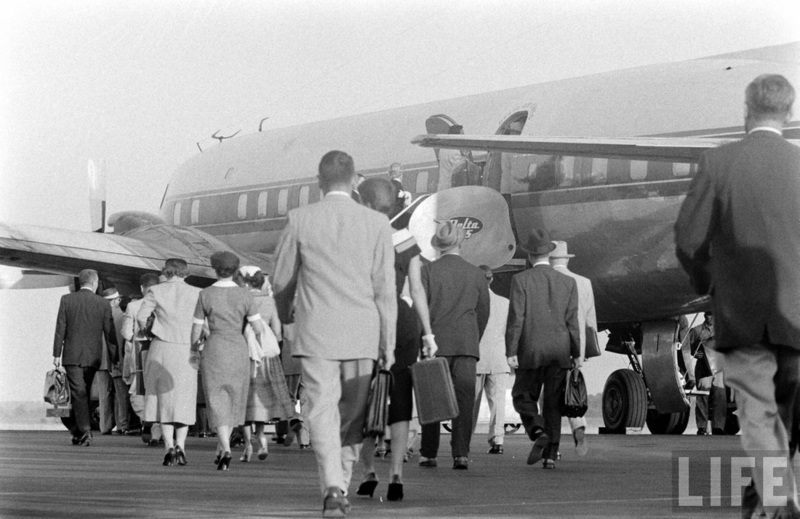 Passengers boarding a Delta Air Lines Douglas DC-7. The main ticketing lobby. 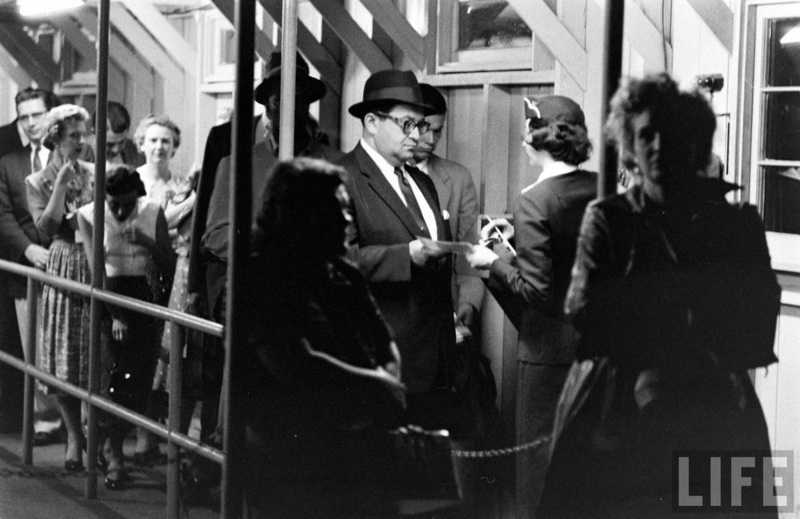 This was the world's longest ticket counter when it opened in 1948. 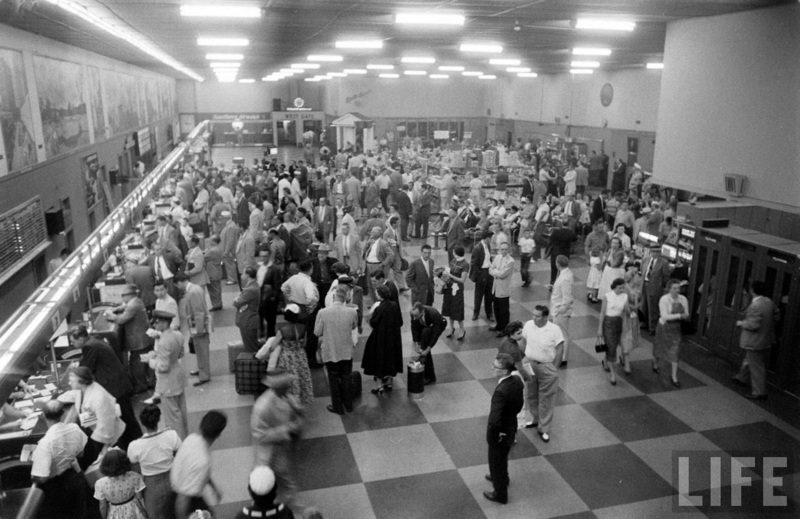 Crowded conditions in the Temporary Terminal, probably during the hectic "noon push" when multiple flights departed within minutes of each other. 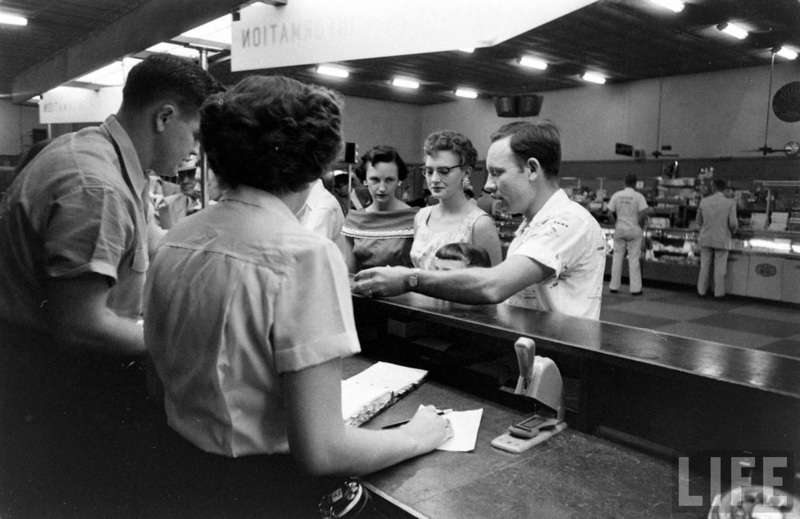 A more relaxed atmosphere at the ticket counter later in the day. 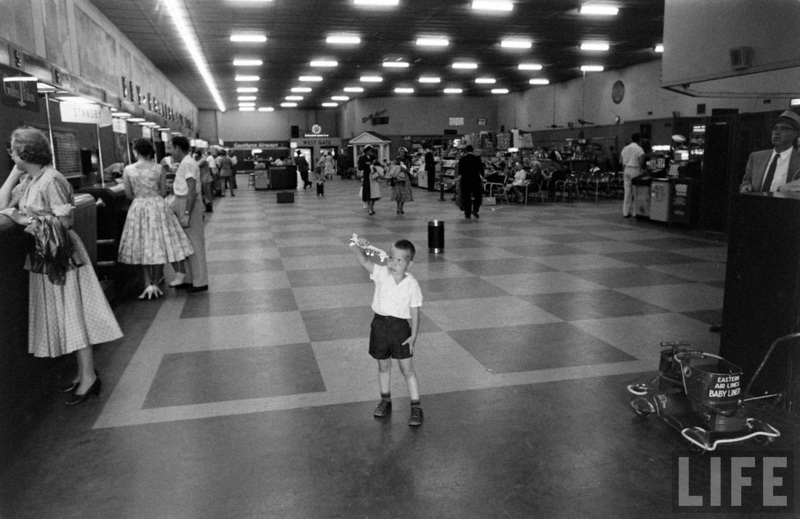 A boy plays with a toy plane while his family checks in at the counter. In the background you can see two doors with a sign that says "WEST GATE". 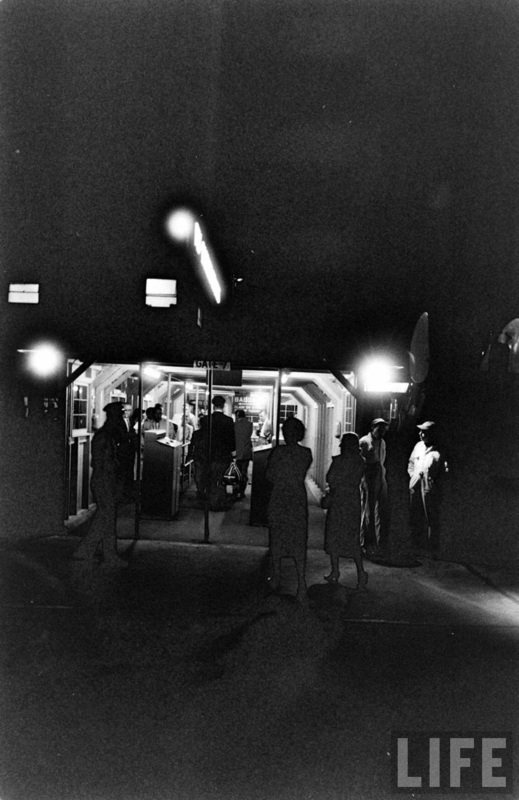 Those doors led to the gates on the western side of the terminal which were primarily used by Delta. The Dobbs House Restaurant, with its columned entrance, can be seen just to the right of the doors and the airport gift shop can be seen at the far right. 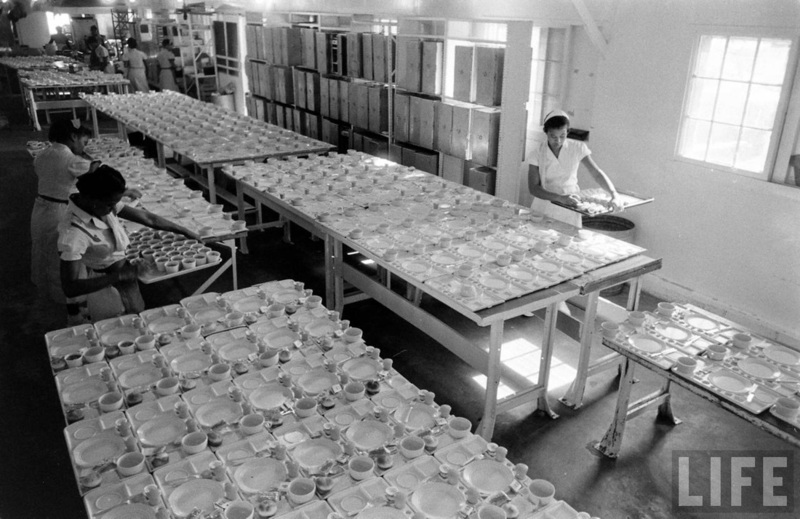 Women preparing hundreds of in-flight meals. 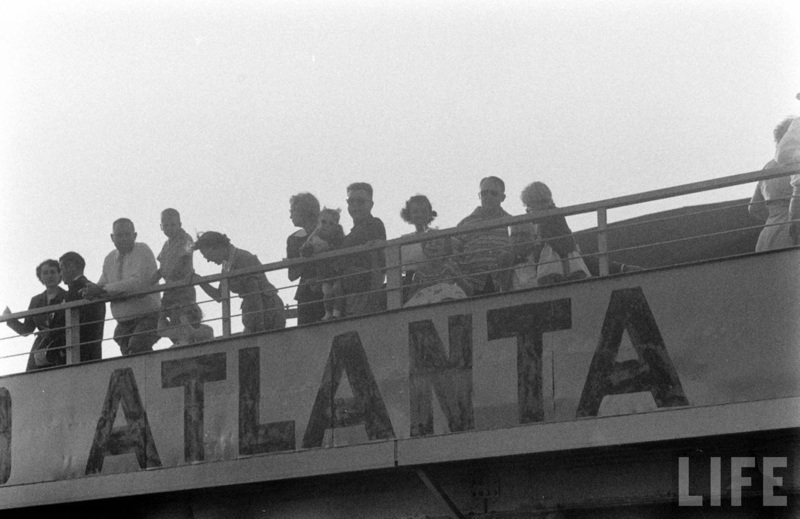 People enjoying the view from the observation deck on a hazy summer day. 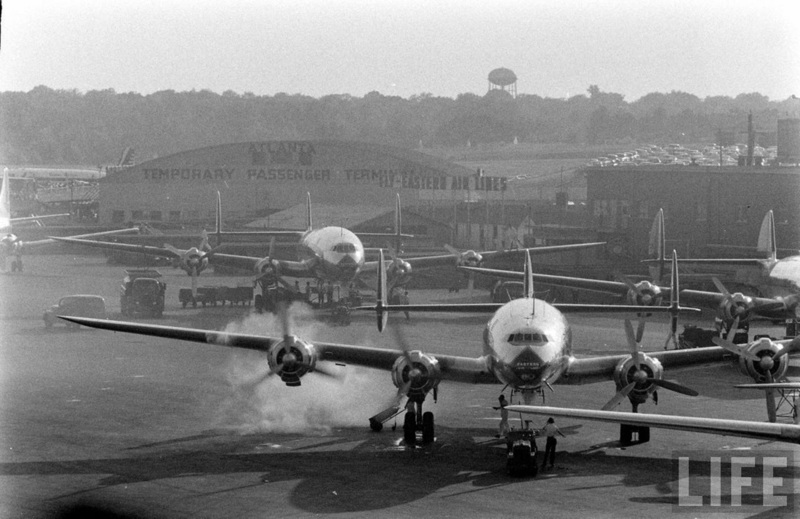 The ground crew scurries as all four engines come to life on an Eastern Air Lines Constellation. What a spectacular photograph! 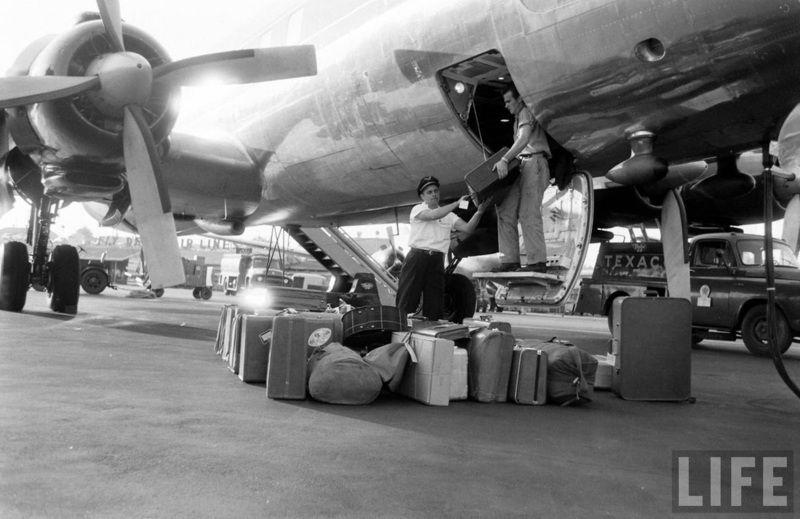 Unloading luggage from a Delta Air Lines Douglas DC-7. 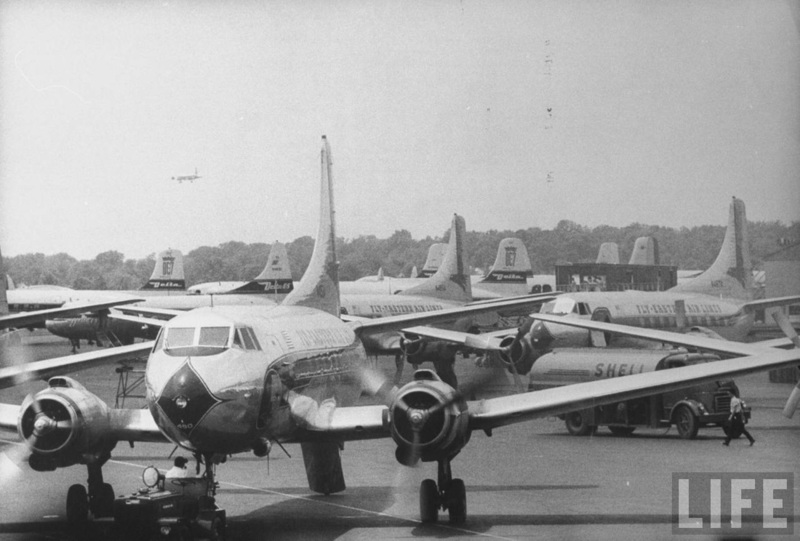 A line of Delta Convair 340/440s on the hazy ramp at Atlanta. 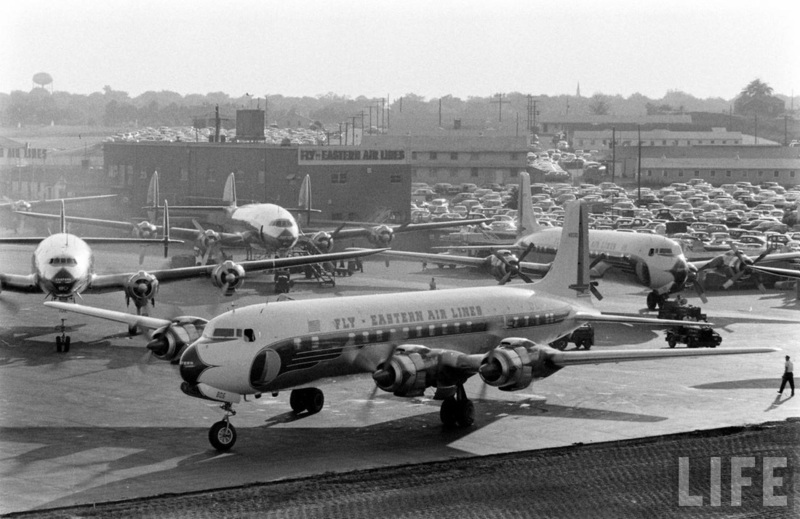 In the background you can see DC-3s of Capital Airlines and Southern Airways. You'll notice the logo on the baggage cart says Delta-C&S. 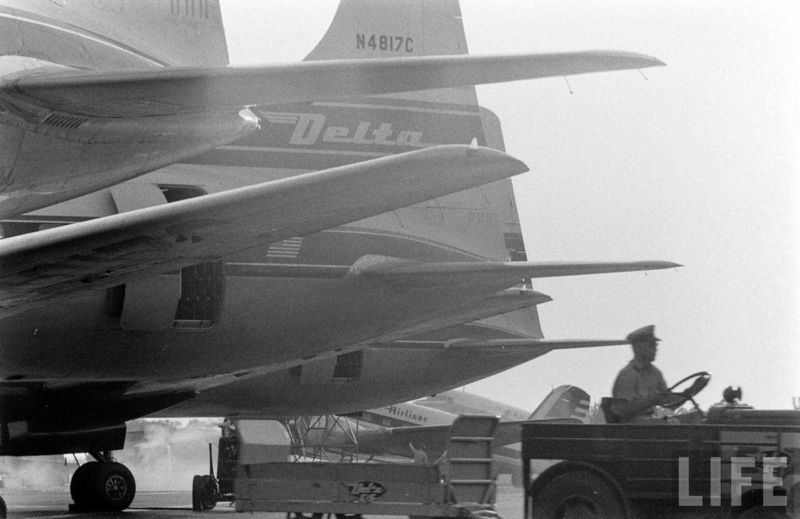 Delta merged with Chicago and Southern Airlines in 1953, and the combined companies were known as Delta-C&S until 1955. Obviously the logo remained on some equipment for some time after that. The Atlanta Municipal Airport fire department. 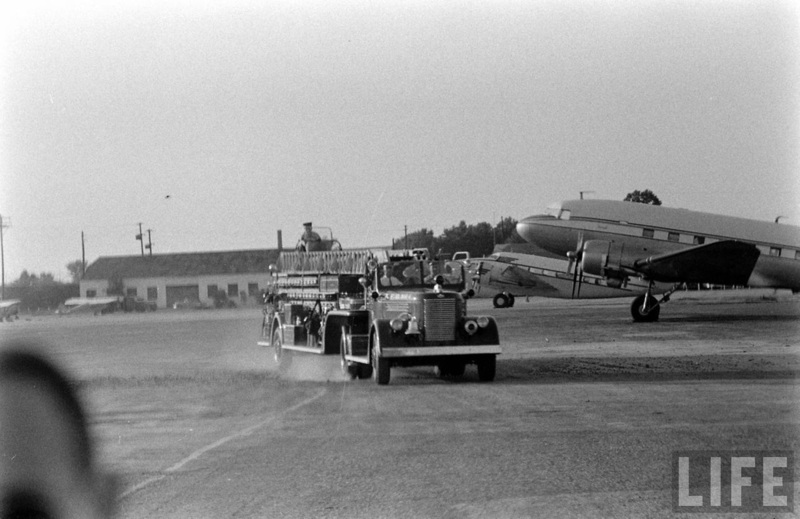 A crowd of Capital and Southern Airways DC-3s seems to watch as the ground crew refuels a Delta DC-7. Arriving passengers deplaning a Delta Air Lines DC-7. A shiny new Eastern Air Lines Douglas DC-7 heads for the taxiway. The brick building in the background stood until the mid-1980s and can be seen at the beginning of this video I shot in 1984. 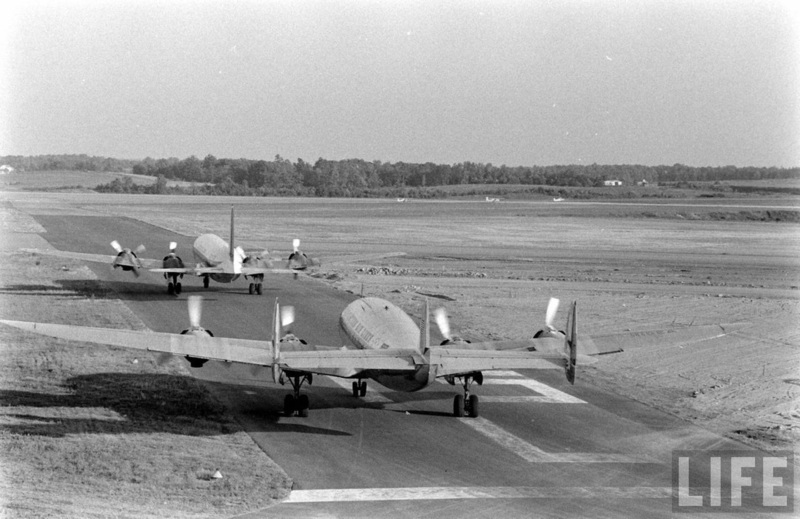 Eastern Air Lines N110A, a Lockheed L-749A Constellation, is followed by a DC-7 out to the active runway. This view faces west with the town of College Park in the distance. 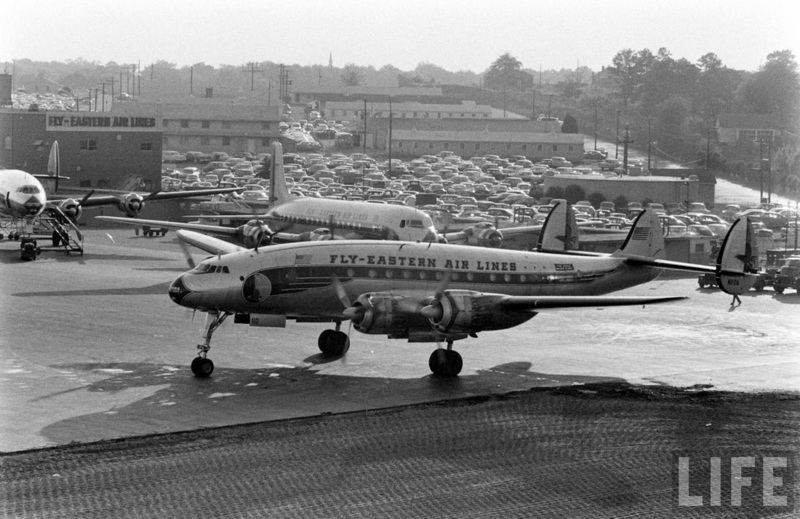 Eastern Air Lines Douglas DC-7 and Lockheed Constellation taxiing out to the runway. 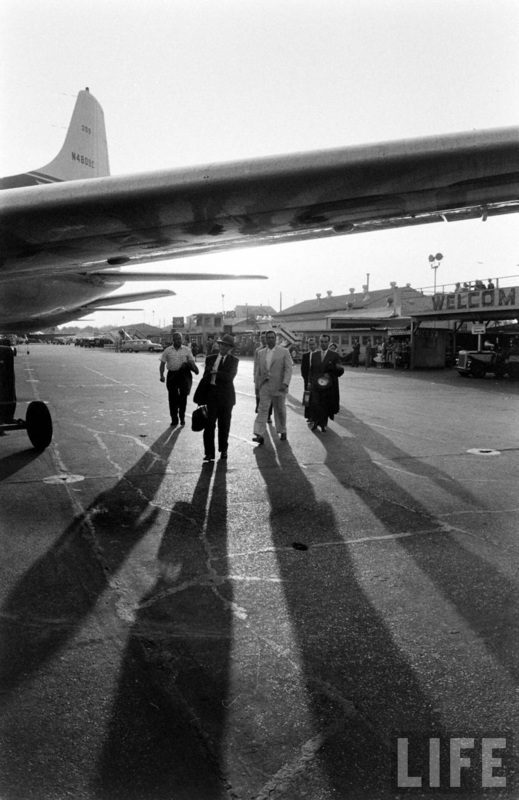 Passengers walk out to board Delta Air Lines Convair 440 N4809C as the sun begins to set. The utilitarian boarding gates at Atlanta's Temporary Terminal were certainly not designed with the claustrophobic in mind! 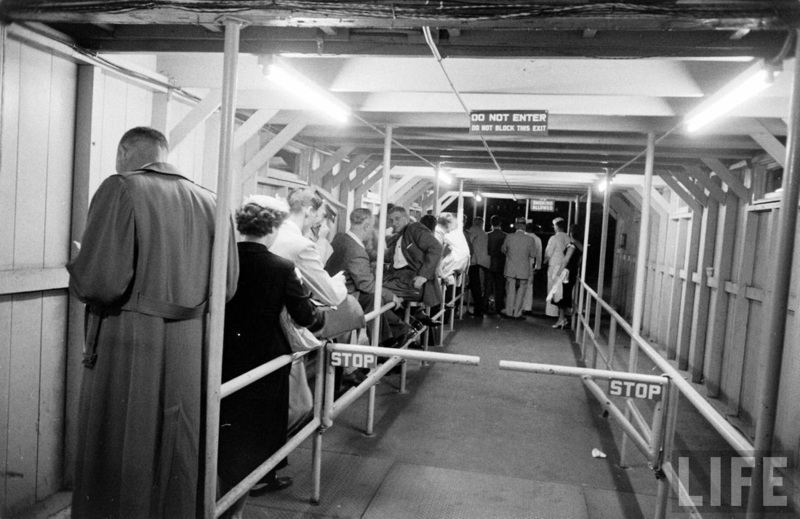 Another view of the boarding area. Night view of Gate 7 from the ramp. 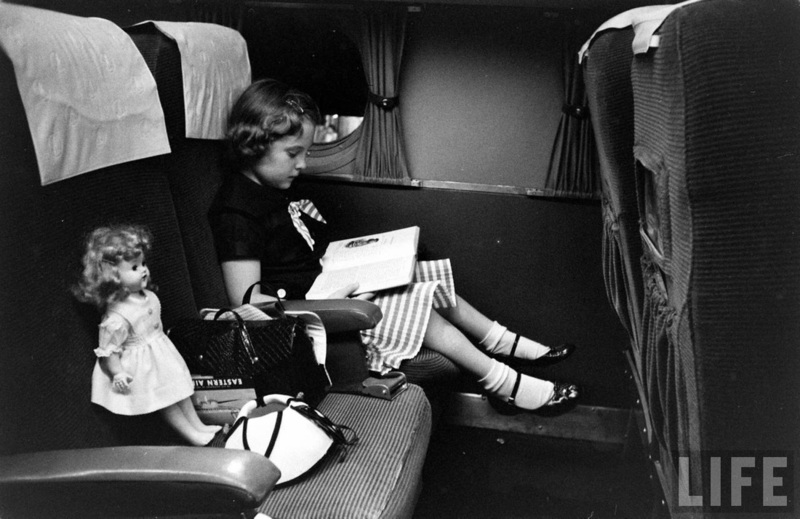 A girl and her doll wait to depart Atlanta aboard an Eastern Air Lines evening flight. 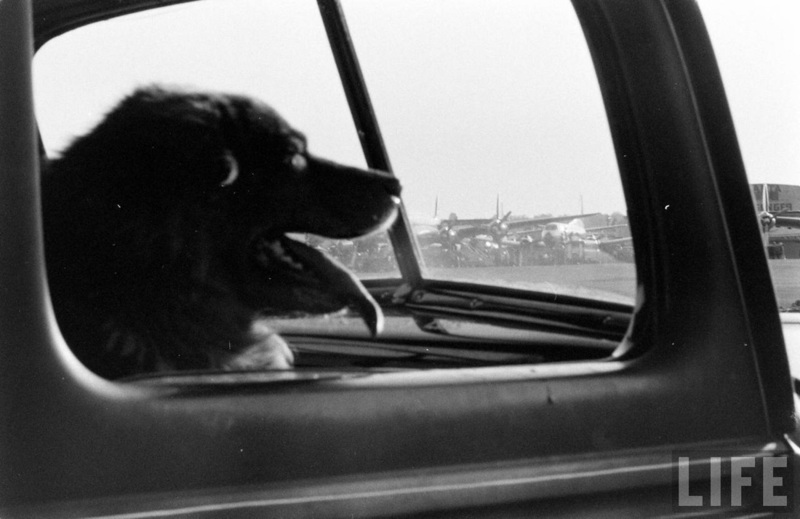 Those were the days of wide seats and plenty of legroom! To see where the 1948 terminal was located in relation to the current one CLICK HERE.